I just got back from Denny's where finding a parking space was kind of aggravating and standing in the cold MI weather wasn't too fun. But...I only stood outside for about 10 minutes. Then, I went inside and got a raincheck from the manager that is good until Feb. 13th. I decided to take the raincheck when I found out it was taking people over an hour to get their meals (not worth it!!!). 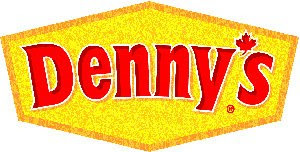 It's all part of a promotion that Denny's is running today. If you go to the restaurant, you can get one of the Grand Slam meals for free. If you don't have the time to wait or don't want to, take your raincheck and be on your way!